Booby and the Beast: Are We Terminal? When my friend Brigid died earlier this month, I found myself thinking a lot about my own mortality. (As these things go.) I've been living with advanced breast cancer for more than three years now, the last ten months in chemo-induced remission. But the average lifespan for someone with my illness is still twenty-six months. I've never thought of myself as terminal, but many people will describe this disease with that word. I began to wonder if I was just being wishful in my thinking. I reached out to a group I belong to online, a support group for people with metastatic/stage 4 breast cancer to pose this query: Question for you all: how many of you think of yourselves as "terminal"? I don't know if I'm just a naive optimist or blindly mistaken but it's just never been a line of thinking I've been able to go down. After losing a (yet another) friend this week, I'm wondering if I've got blinders on. I was surprised by the number of responses my post elicited. It received dozens of comments, mostly optimistic and all thought-provoking. I got permission to share a few of their comments here, to share their wisdom and the breadth of their experiences with all of you. These are the women who inspire me on a daily basis. You can see why. 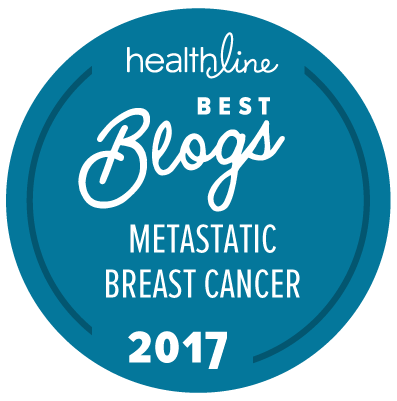 Thank you for sharing these thoughts expressed by others living with metastatic disease. Definitely much to think about here for all of us. It was such a revelatory exercise for me! In a cancer world that can feel very isolating, this query helped take away some of that loneliness (as reaching out to others in this community always tends to do). I think we need another word other than terminal because we tend to think of that as someone who will die within months or a year. But, chronic does not seem to fit either. I have a number of friends who have lived with chronic diabetes for 20+ years, others with chronic asthma for life, my hypothyroidism is chronic. Out of my many friends with those kinds of chronic diseases, none have died of them, and treatment is highly effective for living a normal life, not disabling through treatment induced pain and fatigue. I did have a great-aunt who died of diabetes complications in her mid-90s, but that was after being diabetic close to 40 years. 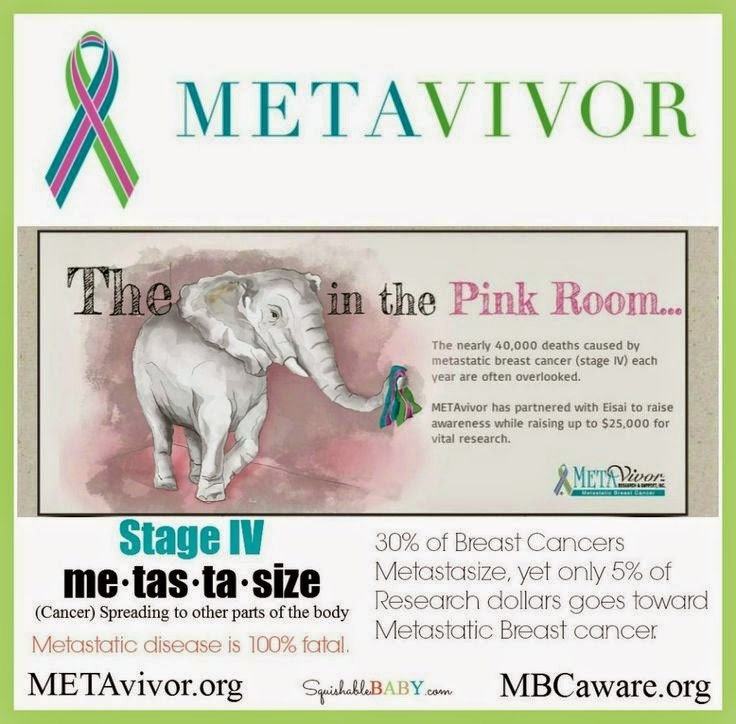 Metastatic cancer, with life extending treatments, just does not seem in the same category as other diseases we consider chronic. I feel like we often live too long to really be considered terminal (thank God), but chronic just does not seem to fit either. Maybe we need a new word? Elizabeth, I agree 100%. My oncologist has said we'll treat this "like a chronic illness, like diabetes or heart disease," but that doesn't mean it IS chronic (although I have hope). "Incurable" is one possibility, but -- to me -- it seems to have a ring of hopelessness. I am open for suggestions, because sometimes I truly do not know how to describe what it is we're living with. I had just read a quote from you (in my book) on how you thought we need to watch the language we use around illness. If we are busy writing our stories and working to create our future, we have to hold on to the power we have to influence what will happen.Forget the "terminal." We are going to dance at Quinn's wedding. :) Believe. I love you, my friend. I believe.